Having been raised on a cattle farm in Indiana, Jamie Cox learned early on about the value of working hard, being meticulous, and staying organized. Throughout her life, she’s been able to marry those talents with her design and illustration skills—all of which have helped her to create beautiful work while sticking with a process. As the Creative Brand Manager at Green Apple Strategy, Jamie embodies the multi-faceted roles of graphic designer and creative director. Additionally, she’ll be managing the creative team and helping Green Apple build and streamline the design process for clients. Originally from Vevay, Indiana, Jamie graduated from Indiana University-Bloomington with a degree in Art Management and Studio Art. Before joining the Green Apple team, Jamie worked at various creative agencies and served as the Creative Services Manager at Visit Franklin. 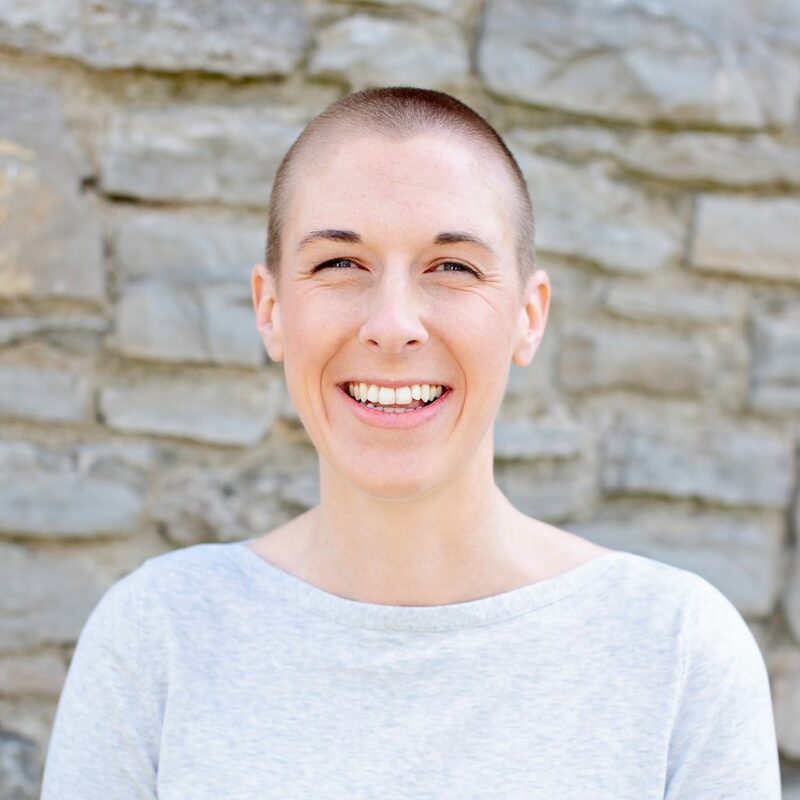 She moved to Nashville in 2013 and has since been involved in AIGA Nashville, Ladies Get Paid Nashville, Ladies Wine and Design Nashville, and Creative Mornings. She also organizes a monthly “H8ters Night,” where attendees watch bad movies and eat junk food. “I’m most excited to work with a team of creative people who want to collaborate to produce creative solutions for clients. I work hard and play hard, so I love that the rest of the Apples are in tune with their work but also know how to cut loose and have fun,” says Jamie. Among the things Jamie hopes to add to the Green Apple team are her passions for branding and organization. “I see a huge opportunity with Green Apple to grow our creative offerings by streamlining some of our current processes. As a designer, I’m excited to breathe new life into established brands and help new brands build their identity,” she adds. When she’s not at the office, you’ll find Jamie at her East Nashville home with her husband, Cory, and their rescued Miniature Schnauzer, Georgia. Jamie is also a baker at her own cookie company—The Ruby Cookie. On the weekends, you can usually find her slinging sugar at her monthly pop-ups all over Nashville (and, we’re hoping she will be slinging some of that sugar around the Green Apple HQ—just sayin’). Jamie and Cory love to travel and can usually be found eating their way around the country—from hole-in-the-wall taco shops to James Beard award-winning restaurants. Each year, they try to visit as many of Bon Appétit’s Best New Restaurants and Hot Ten as possible. When they’re not traveling and dining on fancy fare, you can bet that Jamie will be at Dino’s with a greasy burger and a Shiner Bock in hand.